Only place in Ahmedabad, working for Spanish litrecy from 2008 with a indo-Spanish team. With a Unique and Pedagogic way of teaching, A Processed and fully equiped methods of learning. Each of our class will be a unique experience for students. We have Solutions to become touch with the Spanish even after you completed the Course. We have a Collection of Books, Exercise, e-Materials, DVDs, Holywood movies with Subtitles. 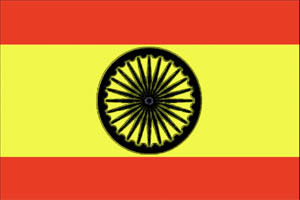 Ahmedabad's only Spanish Hospitality Solution Providers, From last 5 Years. We handle your respective clients, Inspection teams, Other Spanish delegates with great care. We have a very special Treatment for all sort of corporates. We include theame and subject based classes for corporates. Give 1 to 1 focus for them. Want to lead Marketing in Spain / Latin America? We can give you a best solution to put your communication skills in Spainish. Want to try? Applying for US Visa? Add Spanish in your Curricula! Is the best way to prepare yourself for a early earning in your starting life in United States. With more than 37 million speakers, Spanish is by far the most spoken non-English language in the U.S. today among people ages 5 and older. It is also one of the fastest-growing, with the number of speakers up 233% since 1980, when there were 11 million Spanish speakers. Spanish House of Ahmedabad brings special 1 to 1 batch for this purpose. SHA also invite all students for Crash course which design for VISA holders.